2. 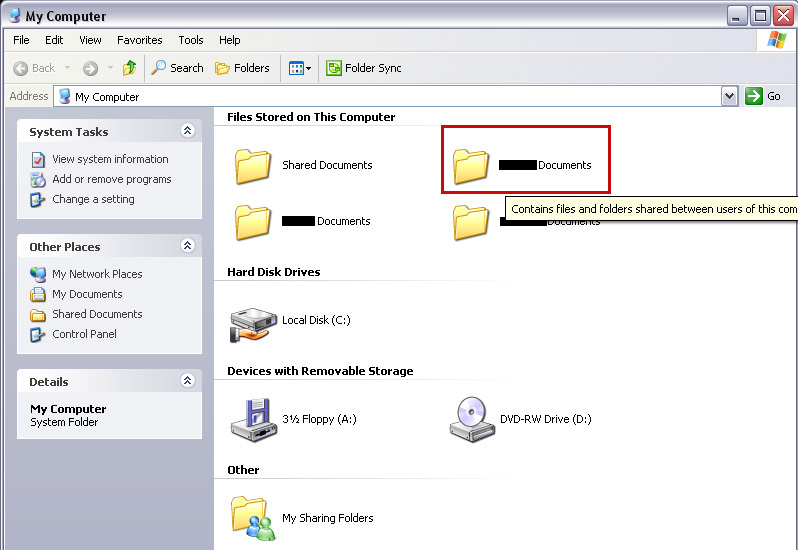 Extract the files to a folder on your desktop. 3. Go to My Computer. 4. Go to My Documents. 5. 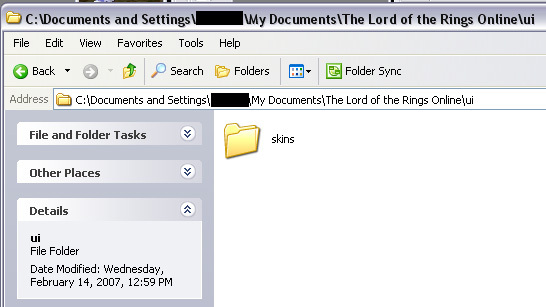 Go to The Lord of the Rings Online folder. 6. 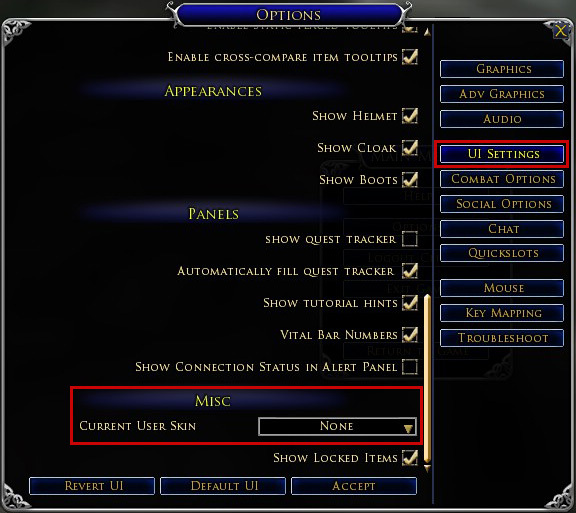 Inside the LotRO folder, create a folder called "ui". 7. 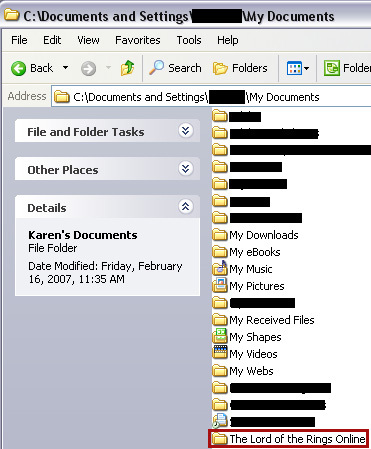 Inside the "ui" folder, create a folder called "skins". 8. 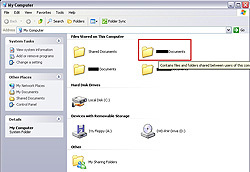 Copy the files from the folder on your desktop into the "skins" folder. Where < InterfaceAFolderName> < .B. > < .C. 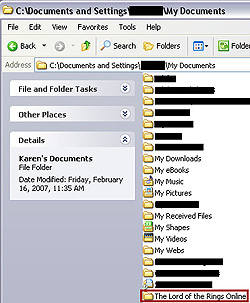 > is the folder name the interface created when you extracted it to your desktop. 11. 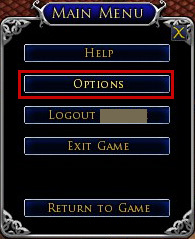 Open the "Options" menu on the in-game Main Menu. 12. Open the "UI Settings" menu. 13. Scroll all the way to "Misc" at the bottom, then using the "Current User Skin" drop down, pick which skin you want to enable. 14. Enjoy your new skin. 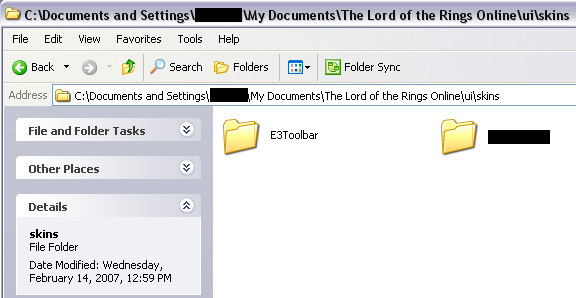 Navigate to your documents folder for The Lord of the Rings Online (for Windows XP users, this is usually " C:\Documents and Settings\< your user name >\My Documents\The Lord of the Rings Online" while for Windows Vista\7 Users, this is usually "C:\Users\< your user name >\Documents\The Lord of the Rings Online"). Create a folder named "Plugins" inside of this folder. Place all plugins inside of this new folder (most plugins are organized into their own folder meant to go inside of the main "Plugins" folder). The list will show you all plugins that your client is currently capable of loading as well as any plugins you already have loaded. If the plugins you want to use are not listed there, make sure the plugins are properly located in the "Plugins" folder created in step 1. 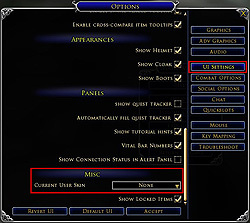 If they are still not showing in the list, try restarting your LOTRO client. If no errors are reported in your chat window, then you have successfully loaded the plugin and can now begin using/enjoying it! If script errors are reported in the chat window, then report them to the author of the plugin you tried to load. Please note, this command unloads ANY plugins you have running so at this stage of the system, once that command is used, you must then individually re-load any of the plugins you want to continue running.